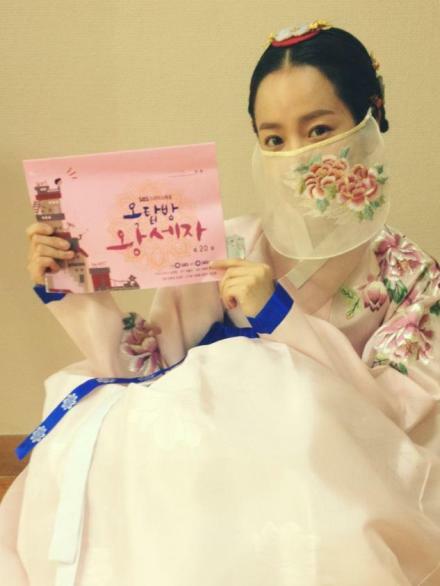 In the photo, Han Ji Min was wearing hanbok with a veil, holding the script and looking at the camera. In addition, the script of grand final in the hand of Han Ji Min also attracted everyone’s attention. In episode 19 of “Rooftop Prince” aired on May 23rd, 2012, Lee Gak (Park Yoochun) suddenly disappears and returns to Joseon Dynasty, leaving behind tearful Park Ha, triggering all kinds of speculation on the ending. Audience said, “The necklace of Park Yoochun and Han Ji Min seem to suggest something, will they reunite?” “Is it Han Ji Min and Young Tae Yong together?” “Is Bu Yong not dead?” “Hope it’s not just a memory in Lee Gak” and etc.